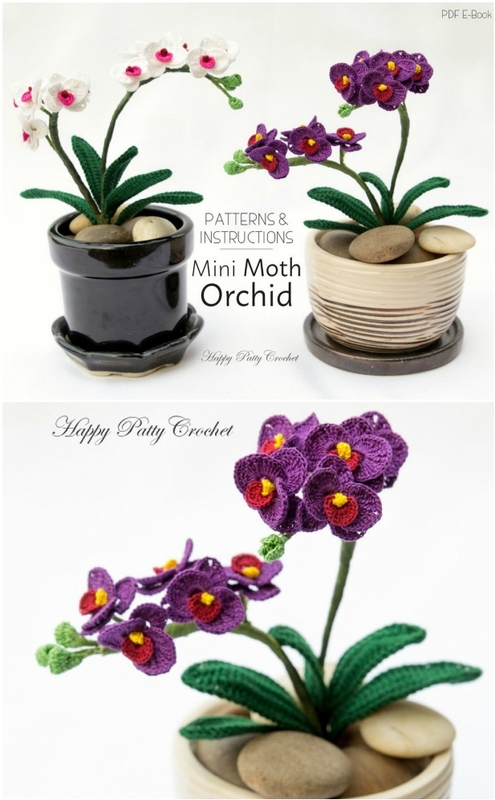 You will love these gorgeous Crochet Orchid Flower Pattern Ideas and we have a that will show you how. Check out all the ideas now and Pin your favorites. Do you love to grow Orchids? The only issue is that those beautiful flowers can only be enjoyed for a short time each year. We have the perfect solution and you’ll love it! There is no green thumb required, just your crochet hook! We are in love with this Crochet Orchid Flower Pattern that comes to us from the talented Happy Patty Crochet. 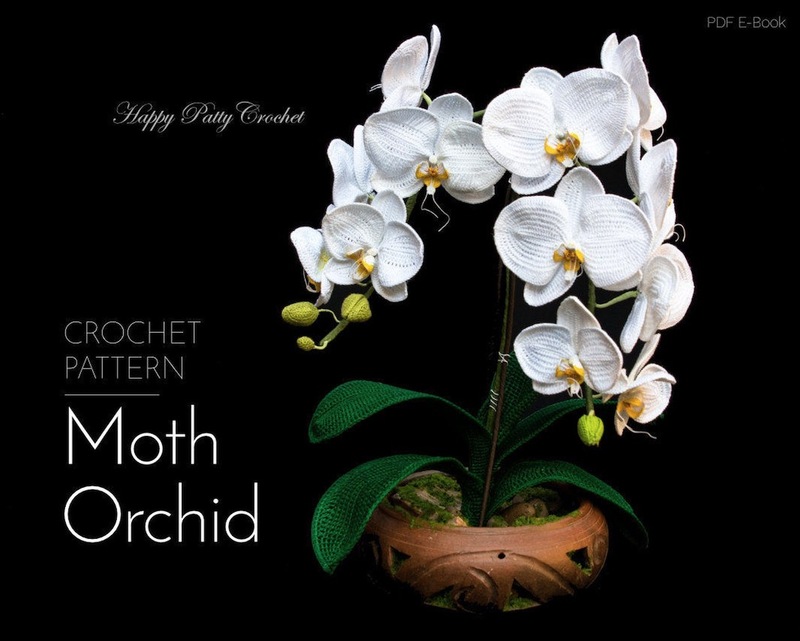 It is very easy for us to see why this gorgeous Moth Orchid Flower Pattern is a best seller for the creator in their Etsy Store. The realistic detail is truly exquisite, don’t you think? It’s just one of several gorgeous versions that we have included in our post. Be sure to check them all out and Pin your favorites. Another interesting fact is that some Orchids bloom for only hours, whilst others will bloom for up to six months. They also have the tiniest seeds in the world, literally! Did you know that Orchids are the largest family of flowering plants? They also are one of the oldest flowers in existence and have some 25,000 different species. Here’s another stunning version of the Crochet Orchid Flower. 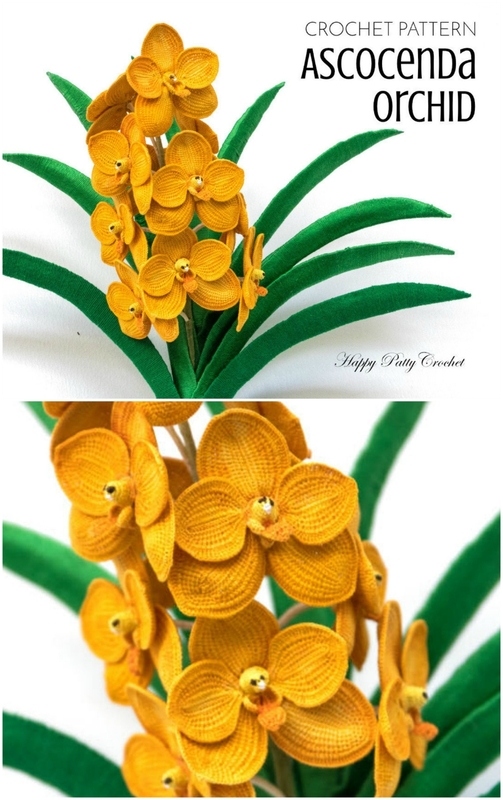 This version is a man-made hybrid orchid genus resulting from a cross between Ascocentrum and Vanda. 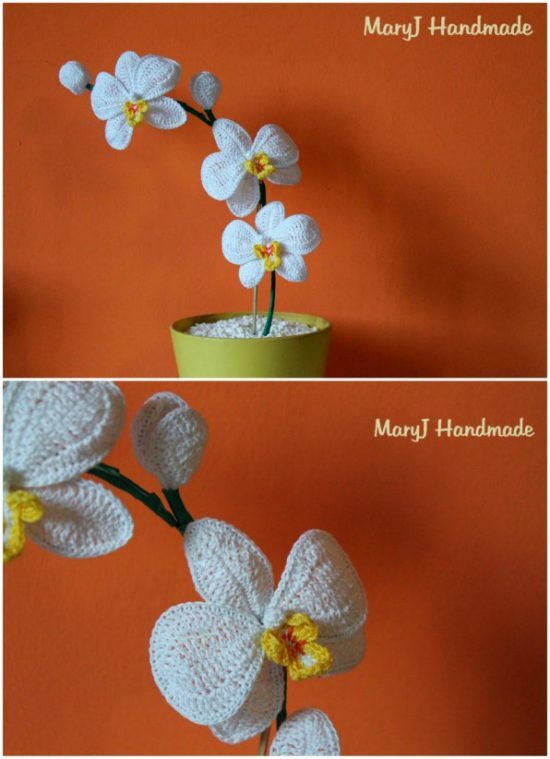 We have included a video tutorial that will show you how to make a gorgeous Crochet Orchid Flower. The smallest Orchid is about the size of a dime and there can be up to 3 million seeds in a single seed pod. 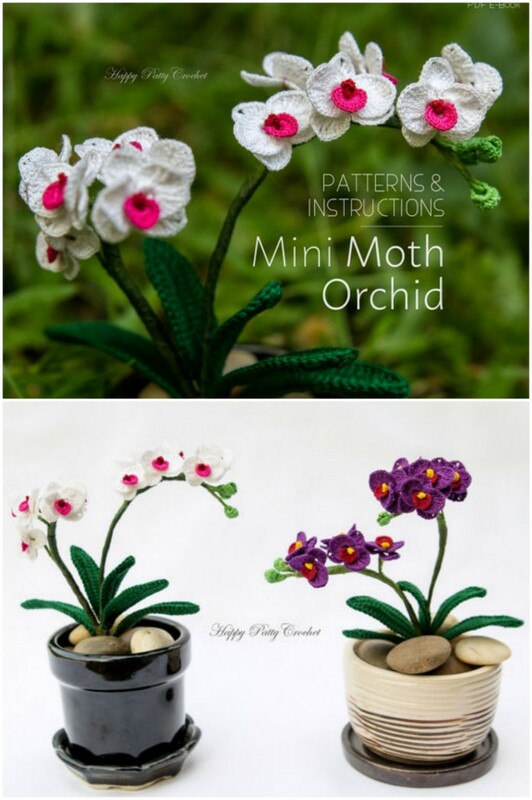 Here’s some more fabulous Crochet Orchids that we found on the site Fiori-Uncinetto. As you can see, they look amazing in different colors, don’t be afraid to get creative. This Crochet Orchid was found on Loremar UK, the blog has since been removed from the site but nonetheless, it’s great inspiration. 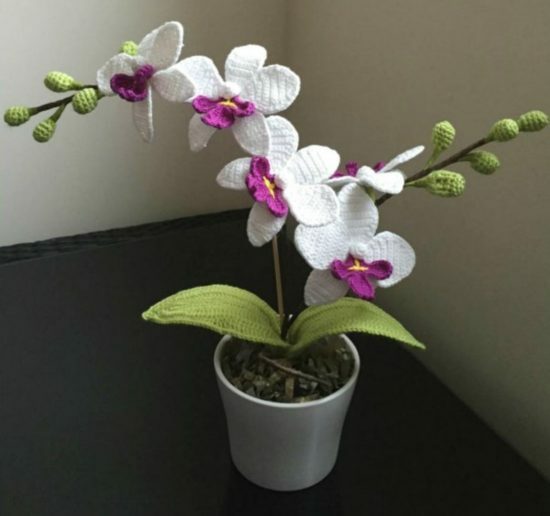 This Crochet Orchid Flower Pattern is from Mary Jane Handmade who was the creator behind the featured video tutorial, further up our page.